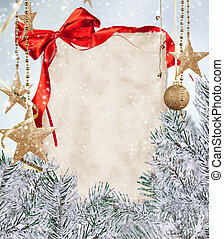 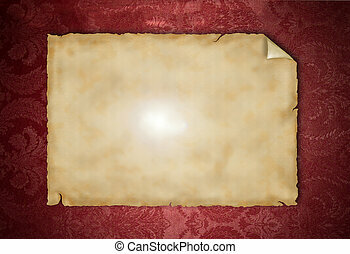 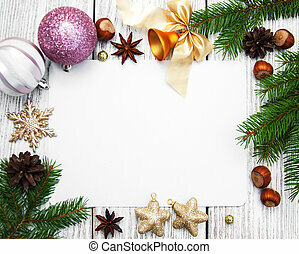 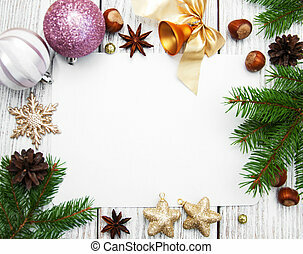 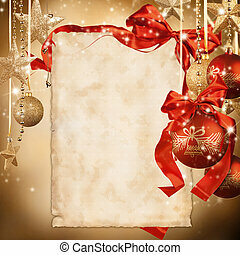 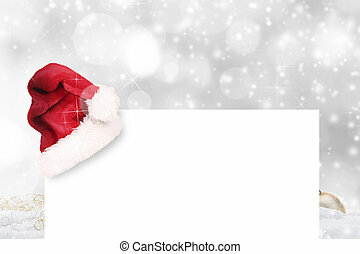 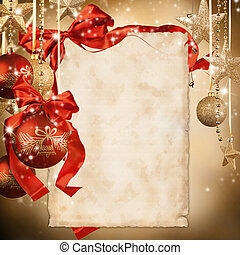 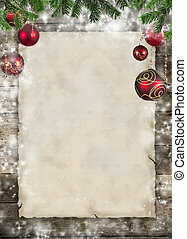 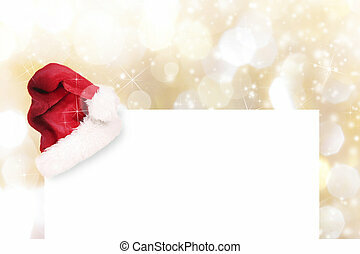 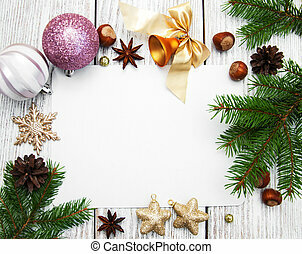 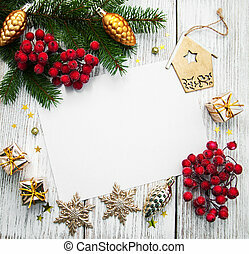 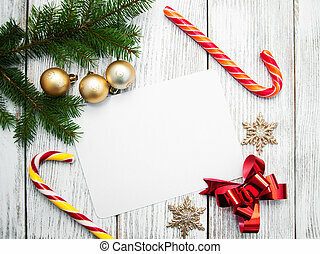 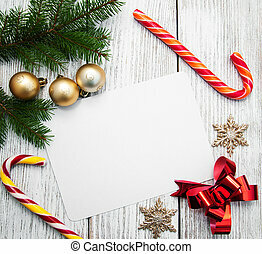 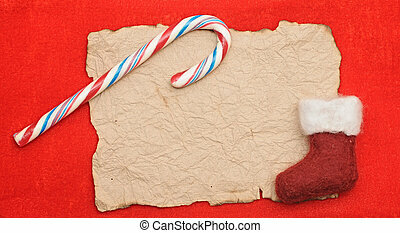 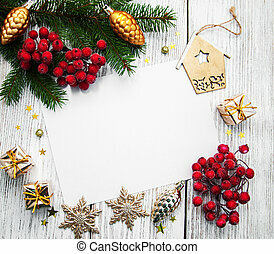 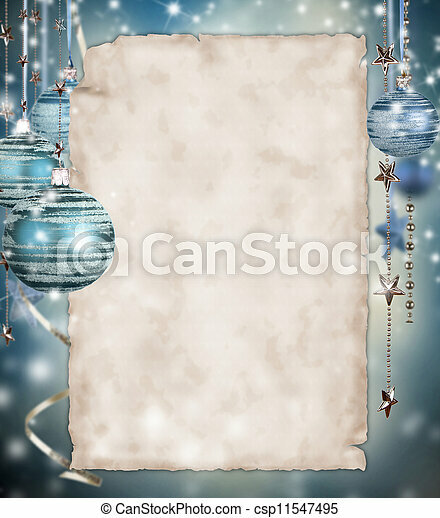 Christmas background with blank paper. 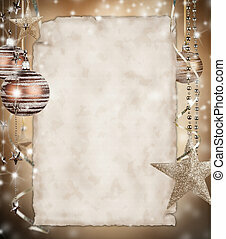 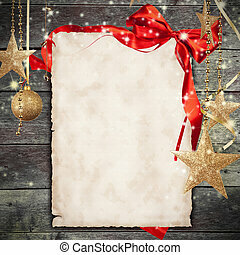 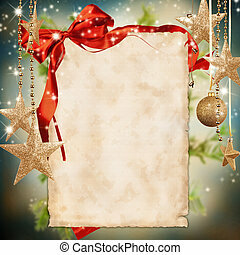 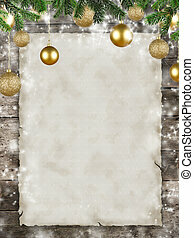 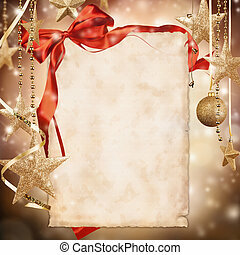 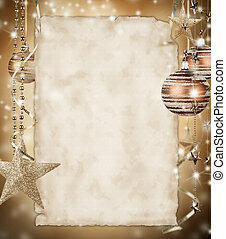 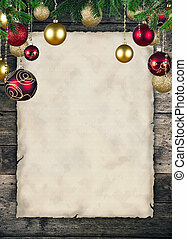 Abstract Christmas background with blank paper. 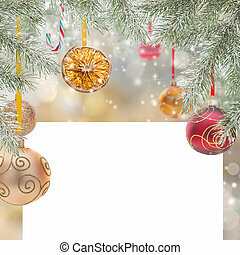 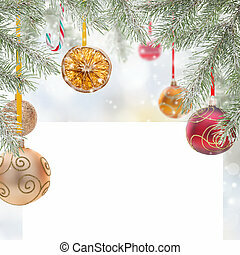 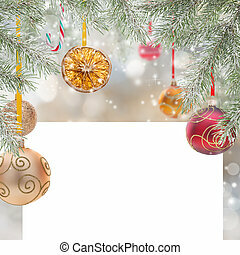 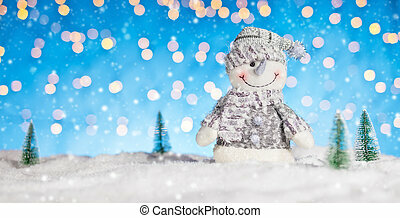 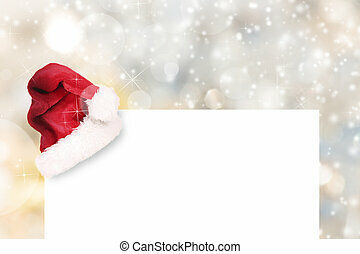 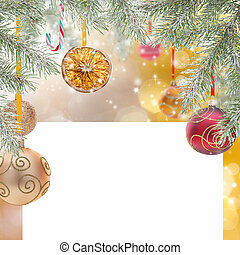 Christmas background with snowman and trees, blur abstract blue background.